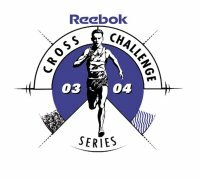 Louise was 3rd in the Reebok 2003/2004 series, with 96 points, and won the Wessex Cross-country League Series 20043/2004. Louise took the Under 15 girls 800m and 1500m silver medals at the Hampshire Track and Field Championships, in times of 2:17.72 and 4:53.63 respectively, both behind Southampton clubmate Rebecca Gough. Pre-race - English Schools Track & Field Championships: HAMPSHIRE will be out to rediscover their golden touch at the English Schools' Track & Field Championships, which begin in Gateshead today. Louise Webb from Southampton goes in the junior girls' 1,500m in which she ranks tenth nationally. Louise was 7th in her heat, clocking 4.53.55, which was not enough to get her to the final. Louise will have another chance in this age category next year. At the Hampshire Cross-county championships Louise was sixth, but the newly amalgamated Team Southampton club scooped the under-15 girls' title, with Rebecca Gough the individual winner, Michelle Hallett 11th and Megan Coakley 13th. Louise Webb won the Bronze medal in the Junior Girls 1500m, with a national standard time of 4:39.68, after finishing 2nd in her heat. Under 17s Sarah Hopkinson (Gloucester AC) and Louise Webb (Team Southampton) both ran quicker than Jo Ankier’s Senior Women’s 1500m Steeplechase UK record of 4 minutes 52.5 seconds in an Aqua-Pura Development Race at Southampton on Wednesday May 23. Both were also well inside the UK Junior Women’s mark of 5.13.7 recorded by Bryony Frost at the 2003 European Junior Championships. From the gun, Hopkinson made her intentions clear and the first 400m was run in a quick 74 seconds with Webb tracking her. Both girls looked very proficient over the barriers and water jump. Hopkinson’s training partner Jessica Sparke (Woodford Green with Essex Ladies), running the event for the first time, lost ground at each obstacle but was never far away from the leaders, using her strength over 3k and cross country to maintain contact. Running stride for stride down the home straight, Webb took the last barrier slightly better to have the edge but Hopkinson proved stronger in the run to the line to win by half a second. These excellent performances bode well for the Aqua-Pura 2,000m steeplechase event during the St Mary’s Relays meeting at Twickenham on 6 June. Both Hopkinson and Webb are young enough to gain selection for the IAAF World Youth Championships to be staged in Ostrava, Czech Republic, where the UK Athletics selection time to chase is 6:48.00. Race result: 1 Sarah Hopkinson (Gloucester AC) 4.50.5; 2 Louise Webb (Team Southampton) 4.50.9; 3 Jessica Sparke (Woodford Green with Essex Ladies) 4.56.4; 4 Charlotte Bates (Unattached) 5.35.6; 5 Becky Neale (Poole AC) 5.38.8. Geoff Watkin, Aqua Pura Steeplechase Coordinator, was delighted with the performances of all five competitors, adding it was clear that this year’s Aqua-Pura programme was paying dividends.